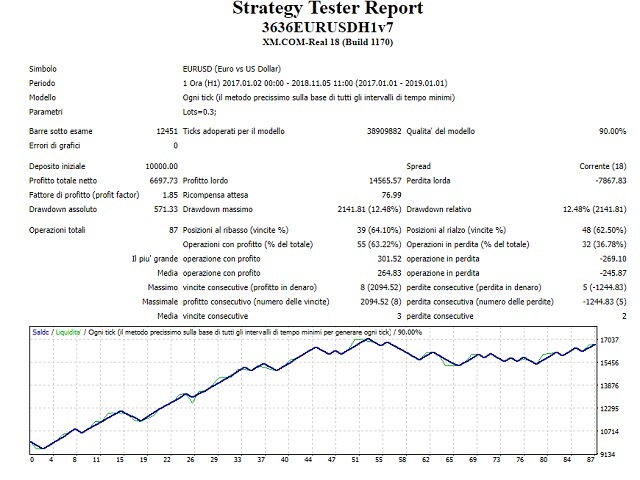 The SkyRocket EURUSD scalping Ea is a very powerfull MT4 trading robot that uses a smart combination of common indicator to get the maximum profit from the market. I recommend to use it ONLY on EURUSD H1, because this is the most profitable way from the best of my experience. 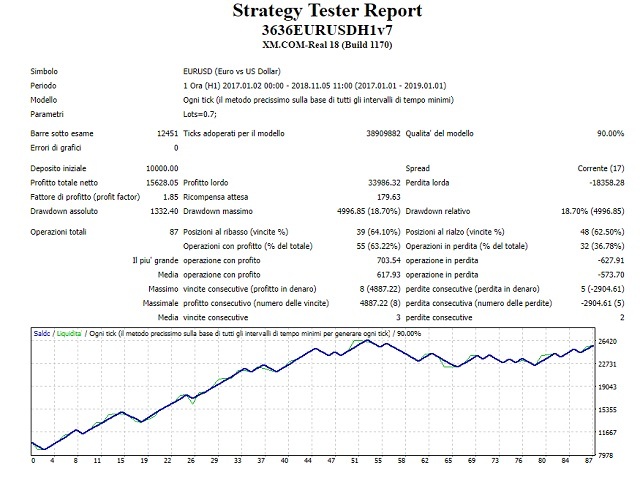 I backtested it "only" from 01/01/2017 to 11/05/2018 because it's useless to test it for 10 years or more, because every Eas have to be updated evrey once in a while to get the best from them. In my opinion it's impossibile to make a EA that performs perfectly every single day for 10 years. Because of it I'll keep my Eas updated whenever it is necessary. There is only a setting when you open the Ea in MT4 and it concerns the Lot size. For the minimum risk I recommend 0.1 Lots, for medium risk 0.3 Lots and for High risk 0.7 Lots. You can see every Drawdown and all information in the screenshot below. However, for a standard 10000 $ accunt I recommend 0.3 Lots. As you can see from the screenshot my Ea works in H1 period and in about 2 years has closed 87 operation, that are less than 1 per week, so you need to be very patient. This is because I tried to get the maximum value from the indicators I use.